In the shadow of a fallen Earth, Pressia is left with one word by her dying mother; “Cygnus”. Swan. With the oppression of the Dome becoming greater and greater, she must, with the help of Bradwell and her brother, Partridge, unlock her mother’s secrets and bring the wretches out of their exile. 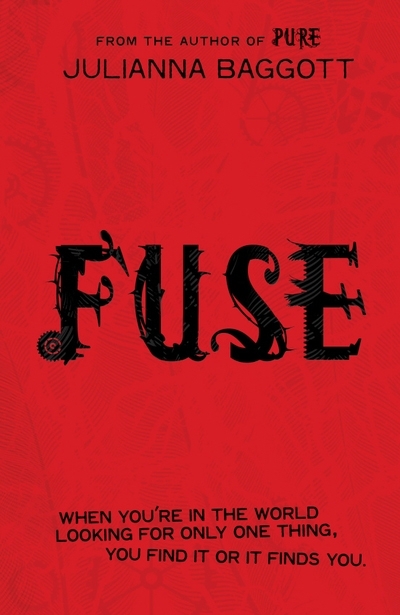 Anybody who read Julianna Baggott’s debut YA novel Pure last year will be familiar with her wonderfully poetic prose, where imagery just drips from the page – and Fuse is no different. Filled with rich yet precise prose, no word goes unspent and the Pressia’s ruined world is brought vividly to life. But it also raises questions about the nature of beauty; questions that are echoed by the characters themselves; Pressia still believes that being a Pure will make her more beautiful, whilst Bradwell has come to appreciate that beauty comes from humanity, and not perfection (a humanity that, ironically, the Pures all too often lack). Baggott’s prose make it clear that she sides with Bradwell; her visions of a post-apocalyptic world bring beauty to the chaos and destruction and is, I suspect, just the sort of thing that would makes it such an enticing book to adapt for the big screen. Apart from being an amalgamation of dystopia and post-apocalyptic, Fuse also sees Baggott venture (sort of) into the bildungsroman as her characters adapt to radical change in their lives. Unlike Pure, which was a novel of isolation and the individual, Fuse is far more about friendship and relationship, as their lives interlock closer and closer together and they experience emotions they haven’t felt before. For both Pressia and Bradwell, their parents become a source of conflict as they begin to understand more and more of their pasts and must choose between friendship and finding out more. Perhaps the most interesting character in Fuse is El Capitan, who begins the journey of reconciliation with his mentally impaired brother, who is permanently fused to his back since the Detonations. Much like Pure, Fuse takes a while to get off its feet. The swift cinematic intercutting between the narratives is somewhat jarring at first, particularly if reading Pure is an old memory. However, this inertia is swiftly overcome and the story becomes unputdownable very, very quickly. I was particularly impressed by some of the quieter scenes which featured heavy character development; they were so tender and beautiful and create a welcome respite from the horrors of the wastelands and the imminent conflict between the wretches and the Dome. 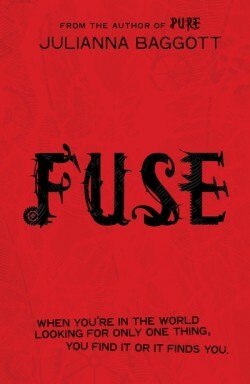 Fuse is, without a doubt, an incredible sequel. Baggott’s vision has expanded – both in terms of world building, which begins to resemble the scope of Philip Reeve’s epic Mortal Engines Quartet and also in characterisation, which becomes a central part of the book. This is a fearless novel of oxymorons, full of tenderness and brutality, fairy-tale aesthetics and hyper-modern technology. The contrast is effective and evocative, and will hopefully push Julianna Baggott to the forefront of young adult literature.